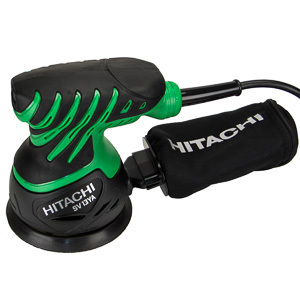 The BO5031K random orbit sander is a favorite among users on the internet. It seems to perform well for just about everyone. I really liked its bigger brother, the BO5041K, when I reviewed it in my workshop. Let's take a look if the BO5031K is the great all-rounder it is said to be, or if the voices on the internet got this one wrong like they so often do. 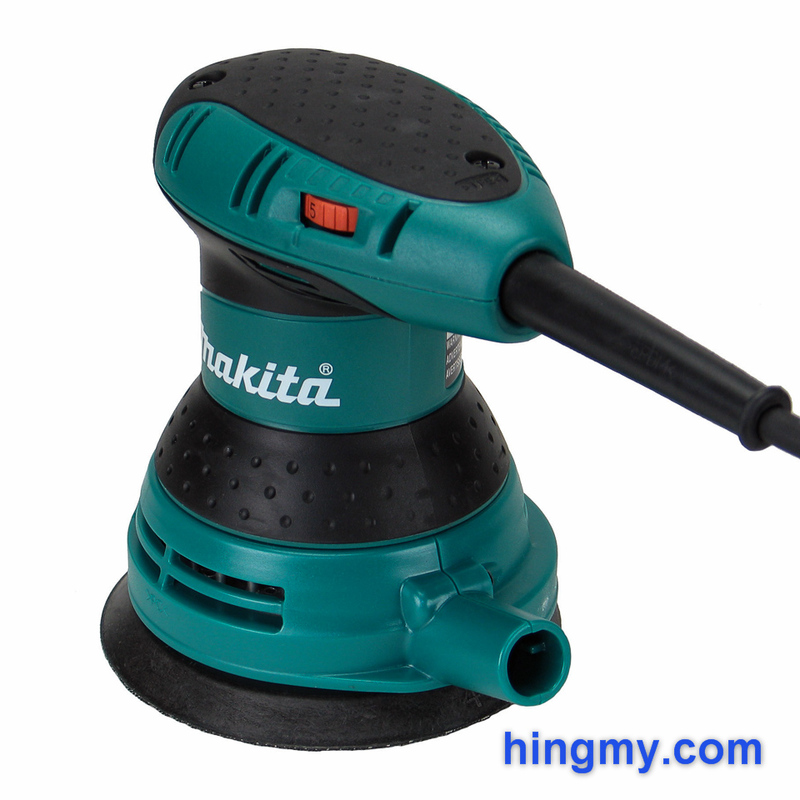 The BO5031K is a general purpose 5" random orbit sander from Makita. 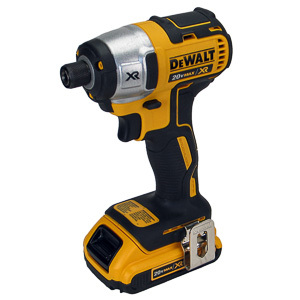 Its 3 amp motor and 22,000 rpm top speed compare favorably to the other sanders in the price segment. My performance tests confirm what these specs hint at. The BO5031K placed near the top in all test without falling behind significantly. Build quality is excellent, with a couple of minor exceptions. 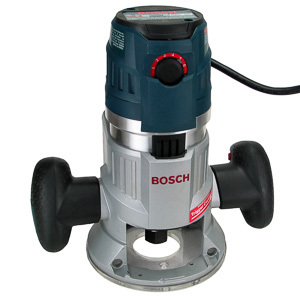 The hard plastic shell of the sander fits together tightly giving the BO5031K that monolithic, brick-like feel that is so important for power tools to have. Nothing is out of place or falling off. The large knob on top of the sander acts as the main grip. It is wrapped in black rubber for comfort. The contours of the body welcome your hand as an alternate grip area, but they feel just a little off to my larger than average hands. The power switch in the nose of the sander is protected from dust by a rubber membrane. It works well, but a little more feedback would make for a better switch. Safety, unfotunately, was not a top priority. The sander turns on when it is plugged in with the power switch in the On position. 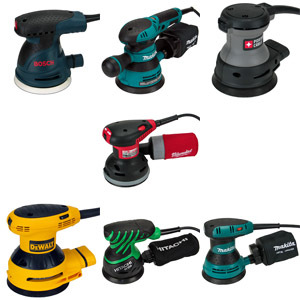 Competently executed all around, look at the little things to help you decide if the BO5031K Random Orbit Sander is for you. At 7 ft in length the power cord is a little shorter than average, but lies flat, coils easily, and resists kinks. The anti-theft device mounted on one end is an annoyance you'll have to remove. The speed dial built into the top of the sander set the motor speed anywhere between 4,000 and 22,000 rpm in a continuously variable fashion. The dial is difficult to operate while wearing gloves, but also nearly impossible to move accidentally. The motor maintains a constant speed at all settings. Dust collection on the BO5031K is hit and miss. The dust bag works about as well as cloth-based solutions do. At full speed the sander picks up most dust while the bag is empty. As the bag fills up performance drops steadily until the operator empties the bag again. At low speed dust collection efficiency suffers greatly. The fan creating the suction the system depends on is directly linked to the motor. At slow speeds the sander simply does not have enough suction to pick up any dust at all. Even under ideal conditions the bag's ability to filter out super fine dust, the most dangerous kind, is questionable at best. A quick 30 degree turn disconnect the bag from the sander. A plastic brace at the top of the bag prevents it from sagging as it fills up. As always proper dust collection can only be achieved with a dust collector. The kit does not come with the necessary adapter to connect a hose to the undersize dust port. Once you sort that problem out, dust collection performance reaches near perfect levels. Generously sized internal airways allow your collector to work efficiently. 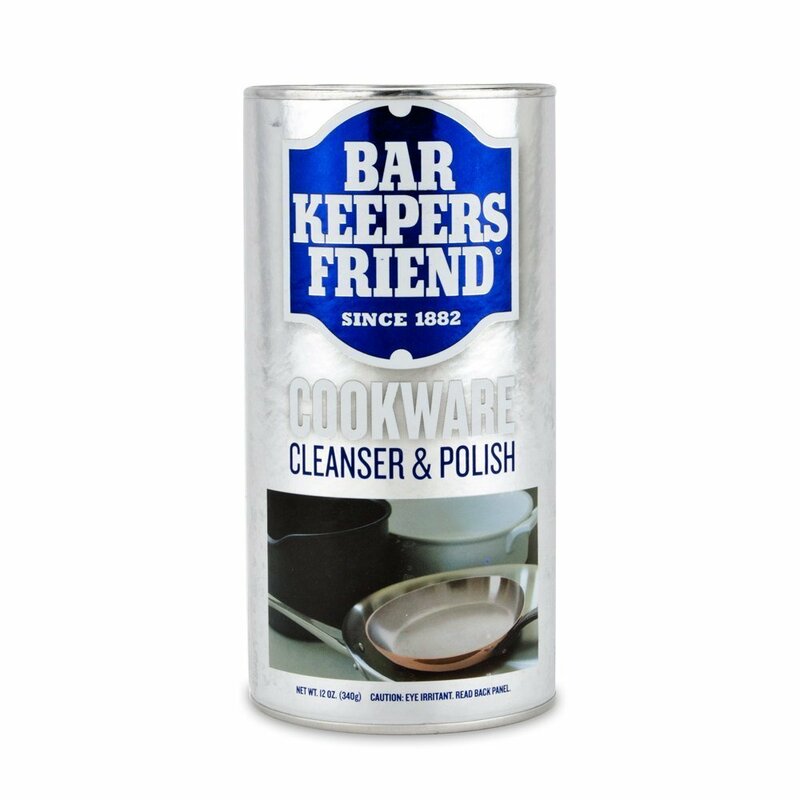 In this configuration the BO5031K becomes a clean tool. The friction fit between the rubber adapter and the dust port on the sander has some give to it. The drag created by the hose causes the adapter to flex. The hose or the adapter never once came loose during my tests, but this solution does not feel as solid as the competitions' design. In the woodshop the BO5031K turns in a stellar performance. At full speed results comes quickly and effortlessly. After progressing trough the grits as usual the sander produces a flawless surface ready for finishing. There are no swirls or burn marks when using the proper technique. The sander's own weight produces enough down force for the sand paper to do its work. A light touch is all that's needed to guide the sander around the work piece. At slow speed the sander's performance drops considerably, but remains well matched with the tasks typically done at those speeds. Unfortunately vibrations increase to an uncomfortable level. 20 minutes is about as long as you'd want to work with the BO5031K at its slowest speed. Any more and you'll feel your hand shaking when you go to bed. At full speed doing several hours of work with the BO5031K is no problem. Professional woodshops can run the BO5031K on a regular schedule without risking a premature breakdown. 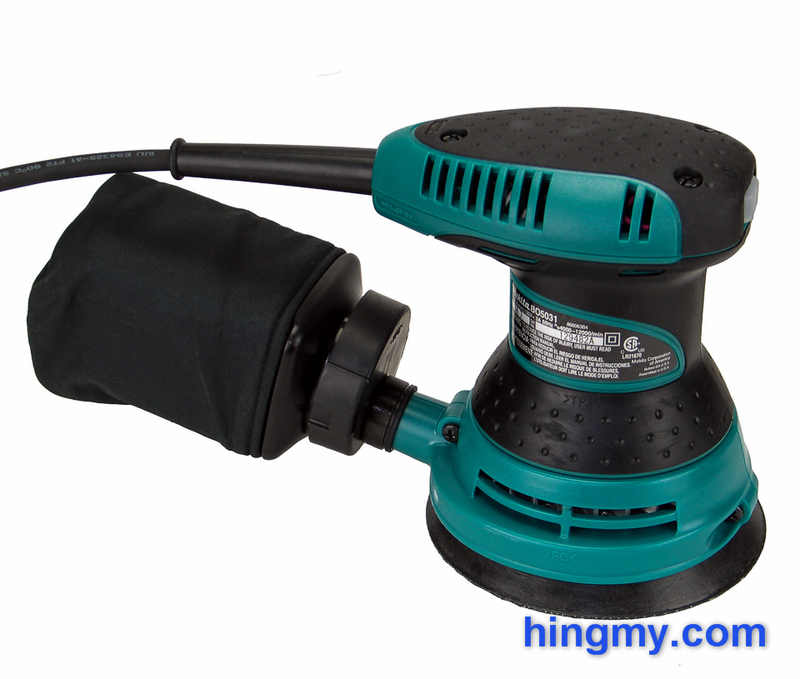 This sander will perform well for years in a heavy-use environment. Like all sanders at this price point, however, its durability is limited. Sooner or later its bearings will wear out, which likely means the death of the sander. Most of the time the BO5031K will take care of your sanding needs in the woodshop and on the job site without ever making you feel underserved. It is as fast as the fastest 5" random orbit sanders, produces immaculate surfaces, and handles well. 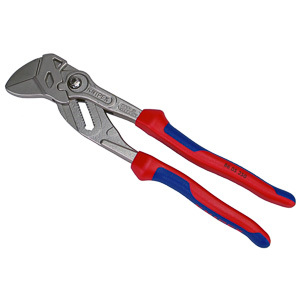 Only tools many times as expensive are a significant upgrade to the BO5031K. The BO5031K comes with a double walled, hard plastic case. Inside the sander is protected from impact damage, but not the elements. The case will keep light rain out for a while, but you cannot depend on it being waterproof. Any accessories you place in the case are going to share the only available compartment with the sander. The build quality of the case is good enough for it to survive the rigors of contractor life. The case is a one-off design and, as such, not a part of a storage system. It lies flat, stand upright, and can be stacked lying on its back; but it does not come with any features that make transporting it any easier. 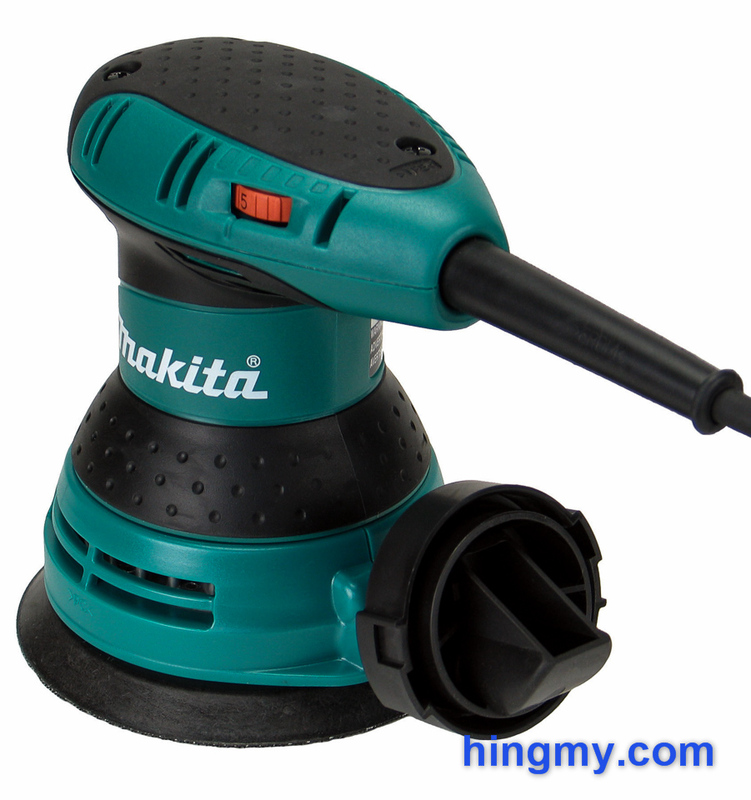 The BO5031K is a part of the Makita BO50 Series of random orbit sanders. The different models looks nearly identical, share a motor and internal components, and perform nearly identical. 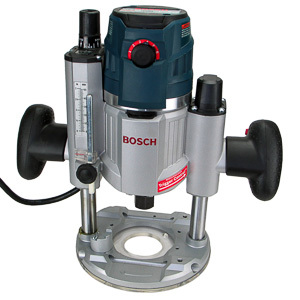 The entry level BO5030 is a single speed sander that does away with the variable speed feature in exchange for a much lower price. It'll perform identical to the BO5031K at top speed. The BO5041K adds a longer handle, a fore grip, and trigger for a completely different feel while sanding. It performs exactly the same as the BO5031K. 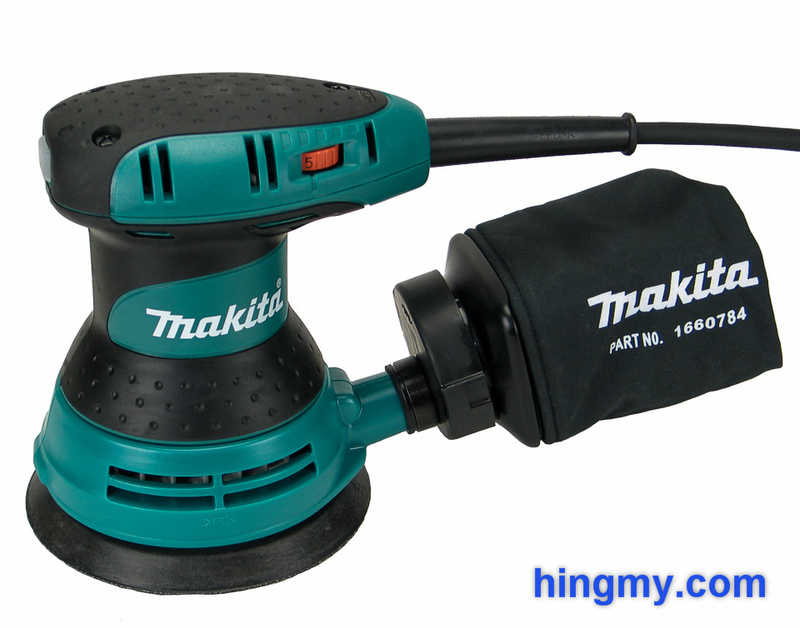 The Makita BO5031K is a capable sander. It produces immaculate results at a good pace. Built to last in a production environment it'll perform well for years. The variable speed motor makes it a versatile sander that can complete most sanding tasks typically done in a woodshop. Dust collection performance can only be called good with an external dust collector connected to the dust port. Excessive vibrations at low speed prevent continuous use, but stability is excellent at high speed. The BO5031K may be a little generic and uninspired, but it also is a good performer. You'll get a fully capable sander for your money that only gets beat in a meaningful way by sanders that cost a multiple of its purchase price. 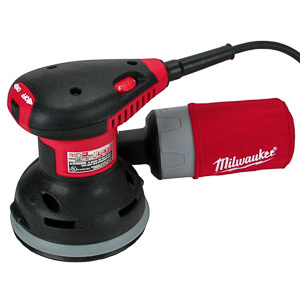 Only the little things can break the tie between the BO5031K and any leading sander in its price range.